At Gibraltar Crystal, watch the skillful glassblowers shaping liquid glass into sophisticated crystal pieces right in front of you. 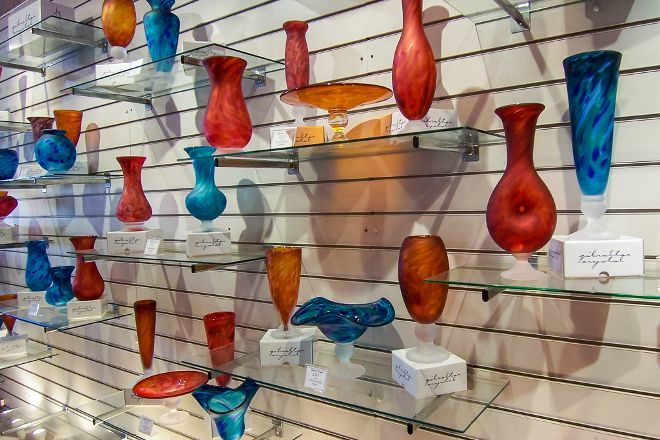 If inspired by their craftsmanship, you can design your own vase, glass, or bowl on site. Just choose a color and a pattern, or combine elements from various pieces on display--there's no extra charge for customized orders. Next to the blowing area, an exhibition room displays information on past and present techniques of blowing, as well as the process and history of glassmaking. Take the guesswork out of planning a Gibraltar vacation by using our trip itinerary maker. There's little to see how you approach to observe how they carry out pieces of glass, which in this case did not seem us so nice. Anyone who has not seen something similar may seem interesting, but certainly not the best or most complete. Gibraltar also has much to do, which is an option most at the end of Main Street, in the main square of the village. This is a beautiful place. The most important is that it is free and you can see how the process of blowing the glass leads to making so many wonderful things you use every day . I wish there was someone who could actually talk about it in details and explain more but end results take the breath away from you. You can buy this wonders but they are pretty expensive in my opinion . However the place is worth to see . OMG 😲 this is may have been one of the least expected attractions to experience in Gibraltar. The unbelievable work that you can see there live up close is really impressive. Amazing to watch them blow glass like that - also something magical about seeing glass as hot burning dense fluid turning into fine art. I bought an engraved tankard for my father’s birthday present. The engraving was based on a rather poor-resolution jpeg file that I gave them which they cleaned up and did an excellent job of putting onto the tankard. I was so pleased with the result that I had them make another one for me. 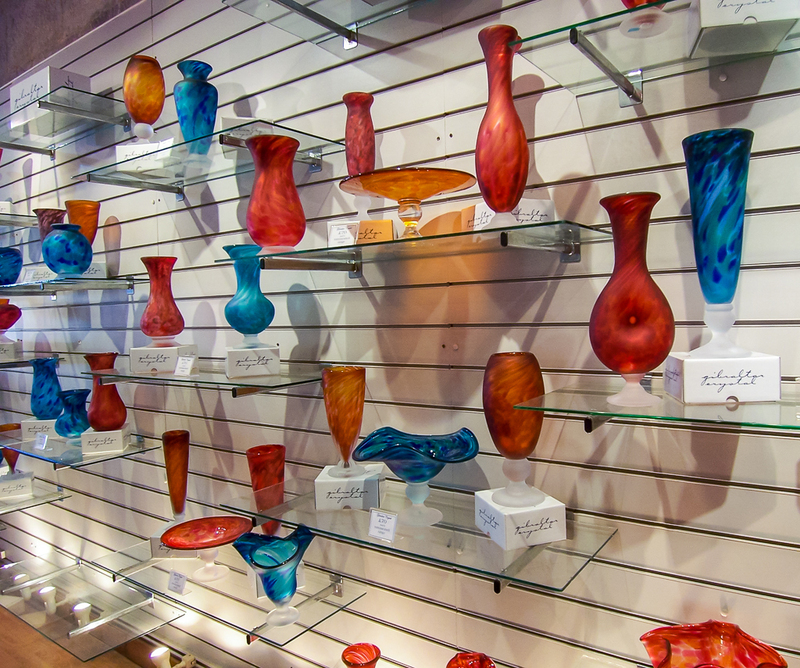 I recently visited Gibraltar and was blown away by the beauty and exquisite designs of the glass blown here. It was fascinating to be able to watch the process, each person seemed to work by telepathy, as they did not need to speak, they knew what was needed at each step and the flowed seamlessly almost like a ballet, producing the most wonderful glass wear. The artists, craftsmen, which is all that I can describe them as, we're pleased to answer the questions, which we asked after the glass that was being made had been placed in the warm oven to cool slowly. It was a most gratifying experience and one that I felt was magical. Thank you to all the artists who provided such a great experience. Every day, we help thousands of travelers plan great vacations. Here are some tips on how to use your Listing Page to attract more travelers to your business - Gibraltar Crystal. Promote your permanent link - https://www.inspirock.com/gibraltar/gibraltar-crystal-a5316107181 - on your website, your blog, and social media. When a traveler builds a plan from this page, the itinerary automatically includes Gibraltar Crystal. This is a great way for travelers looking for a great vacation in your city or country to also experience Gibraltar Crystal. Promoting your link also lets your audience know that you are featured on a rapidly growing travel site. In addition, the more this page is used, the more we will promote Gibraltar Crystal to other Inspirock users. For best results, use the customized Trip Planning Widget for Gibraltar Crystal on your website. It has all the advantages mentioned above, plus users to your site can conveniently access it directly on your site. Visitors to your site will appreciate you offering them help with planning their vacation. Setting this up takes just a few minutes - Click here for instructions.